and it's called Christmas candles 2. It's so hard to see on this photo, but I have glittered the bow...fiddly! and liquid pearls on the berries. and I used a spellbinders die -cut the fancy shape with the sentiment. I coloured the image with the new lyra pencils that I won recently. I punched a little border strip to finish the card. Very pretty card. I love that sentiment! Thanks for playing The Challenge! Beautiful Christmas card! 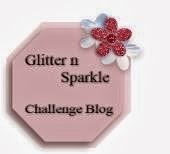 Thank you for joining us at The Challenge this week. Such a lovely card and sentiment!! Thanks for playing along with us at The Challenge! Very pretty card Vic! The coloring is lovely with your newly won pencils and the liquid pearls make wonderful berries! 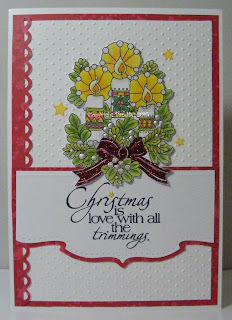 Thank you for sharing your project and creativity with us at Aud Sentiments for our ATG + a Sentiment challenge! Very pretty. Nice coloring on the image and great layout. 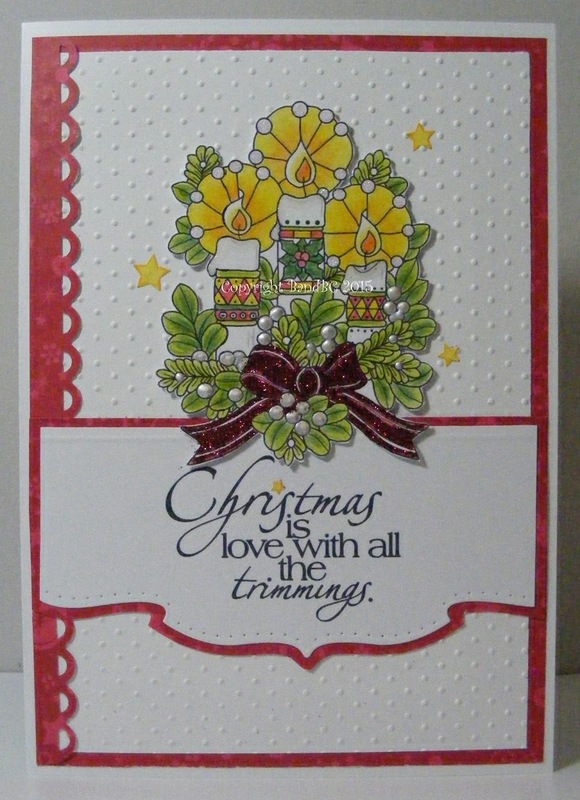 Thanks for joining the Crafty Addicts challenge. What a beautiful and festive card! 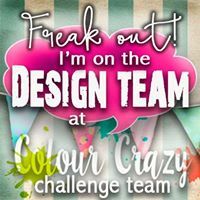 Great design and your colouring! Thank you for joining us at TTCRD this week! So pretty- love the image and your coloring too. Thanks for joining us at Crafty Gals Corner. Very cool image!!! I really like this and your colors! Well done card. 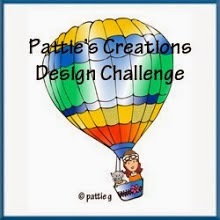 Thanks for sharing it with us in the DRS Designs Challenge! Very pretty! I like the layout and the pearls! Thanks for sharing with us at Aud Sentiments, hope to see you again soon.